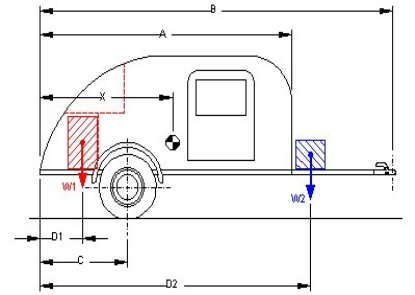 This calculator will determine the Weigh and Balance of a trailer or similar application. Units used are in, lbs or mm and Newton's perspective. At the bottom of the webpages, there are several weight and balance application example's. Of course you can use kilograms in place of newton's. To determine the center of balance (CB) and weight locations following the following procedure. 1. Use the following formula to compute the CB location of vehicles. 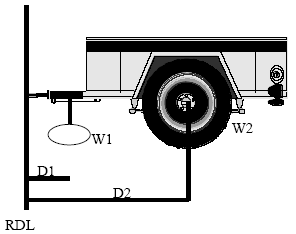 Multiply weight by distance of each axle from the reference line (in inches), and then divide the total results by the vehicle gross weight. The resulting figure is the number of inches to be measured aft from the reference line to the CB of the vehicle. Wl -- Front axle weight. W2 -- Rear axle weight. 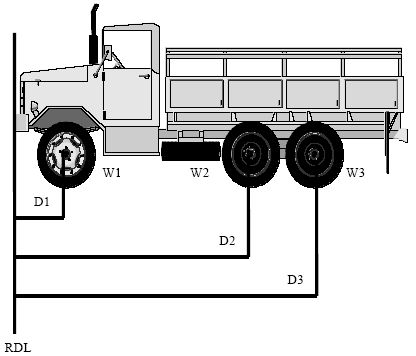 D2 -- Distance from RDL to rear axle or center of articulated tandem axle. 2. The vehicle CB is computed to the nearest whole inch. Any answer with a fraction of .5 or higher is increased to next higher number. If .4 or less, drop the number. Step 1. Weigh all axles individually. Step 2. Mark weight above each individual axle. Step 3. 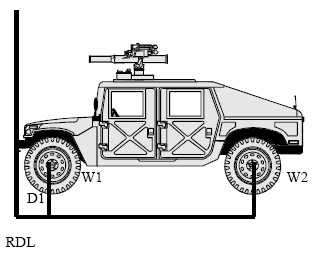 Establish the RDL at the forward edge of the vehicle. Step 4. Measure all distances from RDL to center of each individual axle. Step 5. Distance multiplied by weight equals a moment. Example of basic formula for determining the CB. D I from RDL (from forward edge) to center of front axle = 20"
D2 from RDL (from forward edge) to center of rear axle - 150"